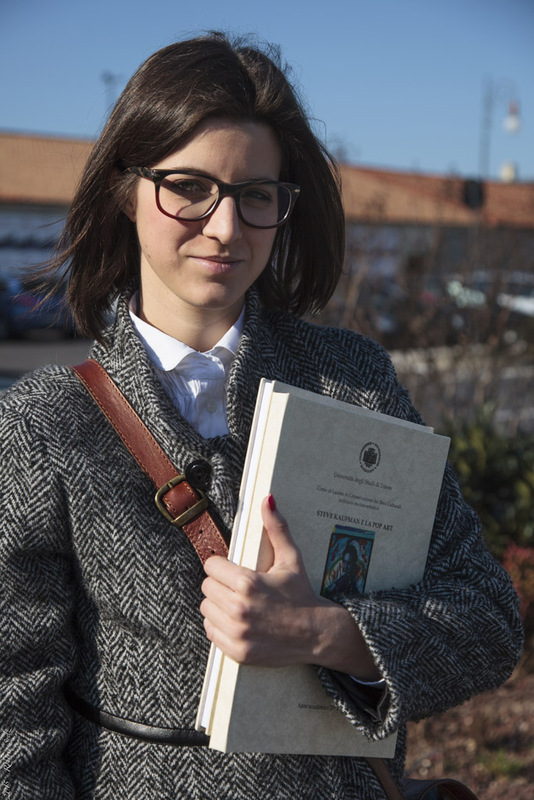 Serena Bobbo, a alumnus at the University of Trieste in Italy, presented her student thesis in February 2015 titled “Steve Kaufman E La Pop Art” (Steve Kaufman and Pop Art), the result of extensive research in preparation for her Bachelor’s degree in Historical and Cultural Heritage and Conservation of Cultural Assets. 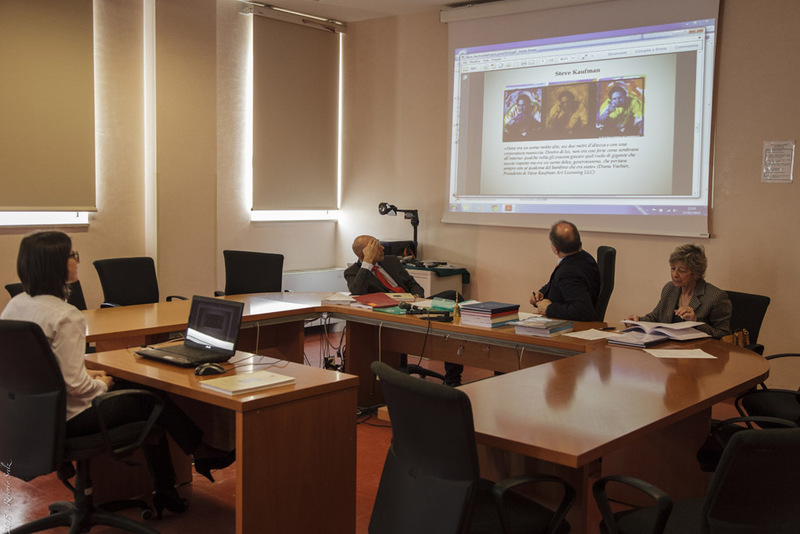 Above, Serena is pictured with Professor Massimo Degrassi, thesis coordinator and supervisor; Professor Maurizio Lorber, thesis advisor; and Professor Manuela Montagnari. Photos by Roberto Srelz. Serena’s thesis will be available online within the next few weeks at the University of Trieste website.